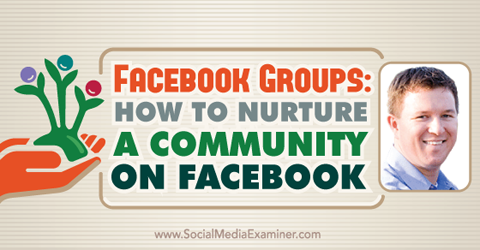 Do you have a Facebook group for your community? Are you considering starting a Facebook group? To learn how to use a Facebook group to build a loyal community that helps your business, I interview Jared Easley. In this episode I interview Jared Easley, host of the Starve the Doubts podcast and co-author of Podcasting Good to Great. He’s also co-founder of the Podcast Movement, the industry-leading conference for podcasters. In this episode Jared will explore how he uses Facebook groups to cultivate an active community of podcasters. You’ll discover the benefits of building a Facebook group, as well as tips for getting started. 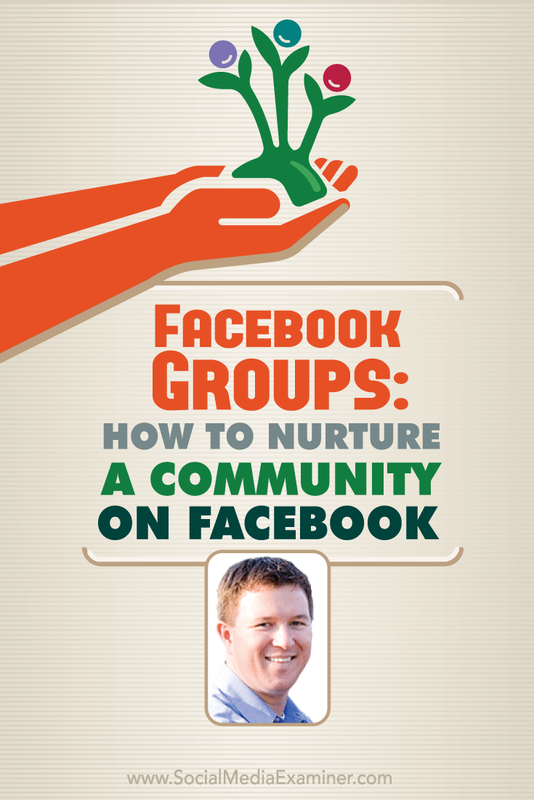 Listen as Jared Easley shares how to nurture a community on Facebook. In January 2014 Jared and co-founders Dan Franks, Gary Leland and Mitch Todd were at New Media Expo when they overheard several attendees asking why there wasn’t a podcast conference. The group realized if they didn’t take a step to create something, someone else would. They decided to move forward, even though there were plenty of things that could have prevented them from even getting started. Jared explains how they reached out to a few people who had put on large events, and asked for their perspective and advice. One person who gave them a lot of feedback was Phillip Taylor, who does a conference for financial bloggers. Armed with information, they turned to Kickstarter to crowdfund the conference. 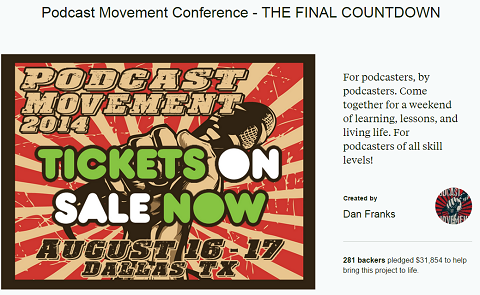 Jared and his co-founders turned to Kickstarter to get an idea of interest and support for the Podcast Movement Conference. When the campaign was published, they hit that $11,000 within 9 hours. At the end of the 30 days, they had over three times the amount needed, which was more than enough validation to sell tickets, pursue sponsors and follow through. Six hundred people came to the first Podcast Movement Conference. Listen to the show to hear more about the Podcast Movement Kickstarter campaign. 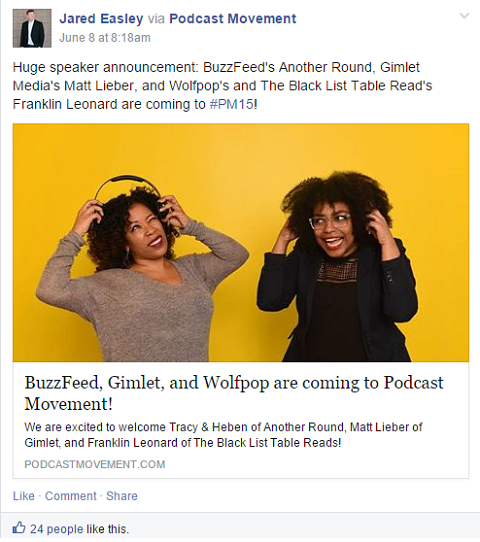 The Podcast Movement created a Facebook page so they could do ads and other promotions leading up to the conference, but they didn’t initially have a Facebook group. Although they went to other podcast-focused Facebook groups to spread the word, they had to be careful, because some of the groups had a smart but strict policy on self-promotion. As soon as the first event was over, there was so much excitement that they realized they needed to create a way for the attendees to continue conversations. That’s when Jared and his co-founders started the Facebook group. Not even a year later, the group has 1,600 members and is growing every month. The Podcast Movement Facebook group keeps growing rapidly. The group is called Podcast Movement – Past, Present, and Future Attendees, so it’s open to all past and potential attendees. This way, anyone who is interested in podcasting can be involved in the community and the conversations. Listen to the show to learn the original intent of the group. The Podcast Movement group and page have served two different purposes. The Facebook page has been essential for Facebook ads and for getting the word out to people who might not already know about the conference. The Facebook group has been a great way to communicate with the existing community about not just the conference, but also about podcasting news and information. They also share other meetups and podcast-related events across the country. The group has also given top-of-mind awareness of their business. Whenever someone gets a notification from a group on Facebook, they see the name of that group. It’s the old “Rule of 7” marketing adage, Jared says. Someone has to hear or see your message at least seven times before they take any kind of action. People who get their notifications constantly see “Podcast Movement” throughout the year, and that’s what keeps it on podcasters’ minds. Listen to the show to discover other benefits of having and belonging to a group on Facebook. For a Facebook group, especially one that has many members, Jared suggests having more than one admin, like they do. Not everybody can pay attention to the group at all times. When you have a few people in the admin role, everyone’s on the same page and can help monitor. There are also better-quality posts and less spam. People can find the Podcast Movement group in a search on Facebook, but they have to request a membership. Then the admin determines whether you get approved. Most of the time it’s a yes, Jared says. Search Facebook to find the Podcast Movement group. The team constantly looks for appropriate posts to share, curating information that’s relevant to the community. They also try to foster relationships in the group, and highlight people in the community who are doing something noteworthy. Jared discusses their branding for the group, and makes some recommendations. The artwork for their Facebook group is clearly branded as “Podcast Movement” with the hashtag and dates of the event. Have your branding artwork set up, Jared suggests. If you have an announcement, consider including it into your image. The Podcast Movement group is clearly branded with its artwork. While they do make Podcast Movement Conference announcements, especially as the event is coming up, it’s not constant. They post about it perhaps once a week so they don’t overwhelm people with stuff that’s only related to the event. 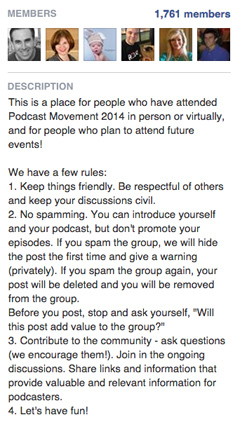 Also, they share posts from the Podcast Movement Facebook page to the group, so members can reshare it publicly. Share promotional posts on your Facebook page and then to your group. That way, other people can share the post publicly. Listen to the show to learn about the different types of groups. Podcast Movement has clearly posted rules. Sometimes spammy profiles sneak in and someone will post something that has nothing to do with podcasting at all. In those cases, the post is deleted and the user removed. If someone crosses the line with a post, Jared won’t hesitate to delete it. He’ll send a message to the person involved. Depending on how that conversation plays out, they’ll determine whether the person needs to be in the group. Jared says they try to give people the benefit of the doubt, but there are some people who are out to cause trouble. If that’s the case, they’ll remove them. Listen to the show to hear how Jared deals with community members’ conflicts. Although Facebook allows you to automatically add people to your group, Jared suggests you resist the urge. People generally don’t appreciate it when you just add them to a Facebook group without getting their permission. Ask people before you add them. Otherwise, just let it grow organically. Put out messages on your own personal timeline that introduce the group. Also, leverage hashtags. Plus, if you are in the early stages, you can reach out to members directly and encourage them to share. Finally, have rules in place and make people aware of them. Listen to the show to discover what types of posts to use for your group. The Great Suspender is a Google Chrome extension. If you use Google Chrome a lot and jump from tab to tab, you’ll notice it can hog resources from your system. The Great Suspender keeps some of those tabs from running; it suspends them. Set it as Auto-unsuspend or Click to Unsuspend. Whether you use Chrome or another browser, remember if you have lots of tabs open, it’s data and CPU-intensive. Every now and then, restart your browser and it will definitely speed things up. 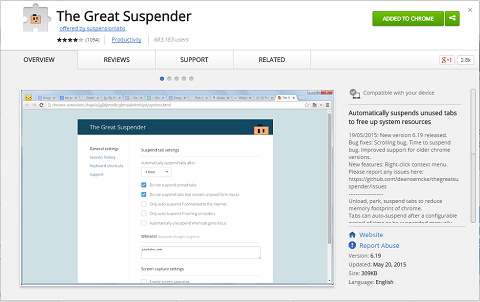 The Great Suspender is a free Google Chrome plugin. If anybody has an equivalent in Firefox, please let us know in the comments. Listen to the show to learn more and let us know how the Great Suspender app works for you. The Social Media Marketing Society is a membership community for social media marketers. As of the publication date of this episode, the Social Media Marketing Society will close in just a few days. Up to this point, thousands of social media marketers, marketers who care about social media and business owners have already joined the Society. They are interacting with each other, getting great original live training three times a month and are keeping their businesses on the cutting edge of social media. This is an exclusive Society, brought to you by Social Media Examiner. If you work on your own and want to know the latest in social media and learn about advanced social media tactics, then the Society is for you. The cost for the Social Media Marketing Society is $40 per month and enrollment closes at the end of June 2015. It will not reopen until 2016. Check it out at SMMarketingSociety.com. Join the Podcast Movement – Past, Present, and Future Attendees Facebook group. 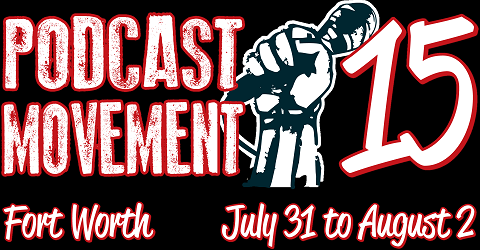 Attend the Podcast Movement conference July 31 through August 2, 2015 in Fort Worth, Texas. Listen to Jared’s Starve the Doubts podcast. Read Podcasting Good to Great. Learn more about Podcast Movement co-founders Dan Franks, Gary Leland and Mitch Todd. Check out New Media Expo and FinCon. Explore the Kickstarter campaign and the Podcast Movement Facebook page. Check out the Great Suspender app and revisit TripMode. What do you think? What are your thoughts on Facebook groups? Please leave your comments below. 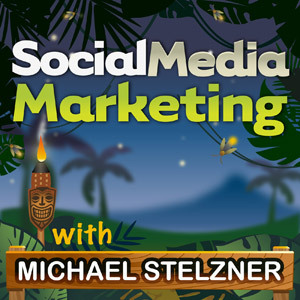 Jared Easley talks with Michael Stelzner about how to nurture a community on Facebook.